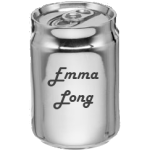 Emma Long (City Park) is loose, ledgy and many of the drops won't be tamed by a 'roadie roll'; they require either walking or hucking. Be aware that riding the 100k out here will be dangerous. If you can't clear Walnut in your sleep or if Pace Bend gives you trouble you should include in your ride/race plan WALKING THE BIG STUFF. You've been warned.